The longer two opponents play mistake free football, the more critical each mistake becomes. 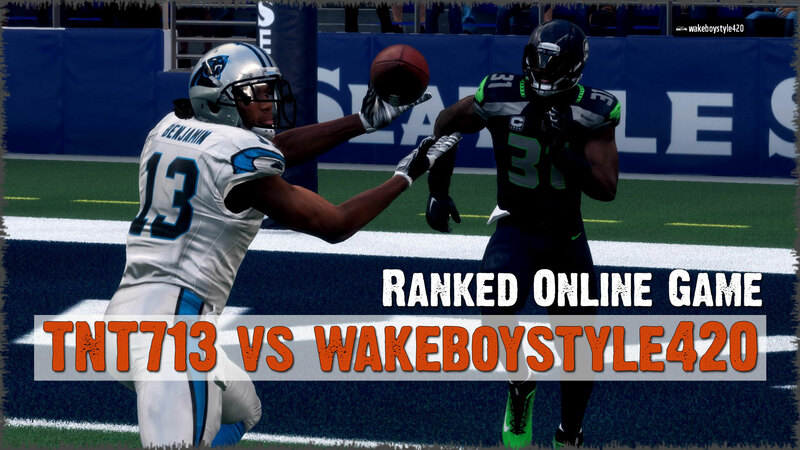 In today's edition of GameFilm, TNT713's Panthers face off against wakeboystyle420's Seahawks in a defensive struggle in which neither team can gain the upper hand until a mistake in overtime ends the game. Check out the video! The lesson in every game isn't always apparent, but this game has a glaring morale. 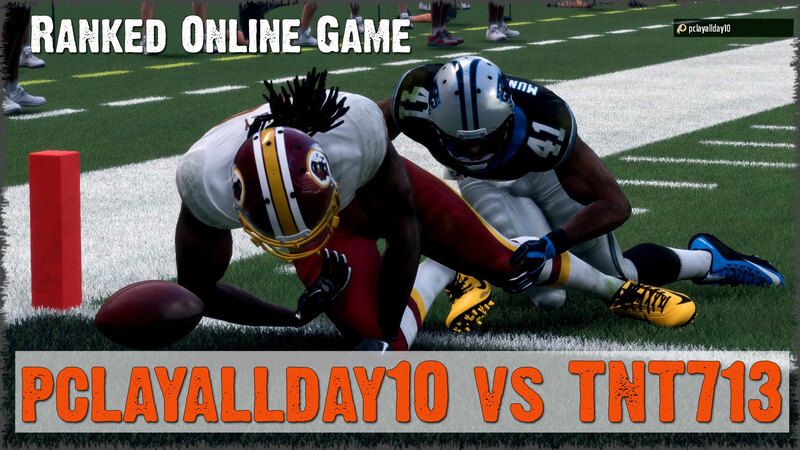 In this edition of GameFilm, pclayallday10 brings his Redskin team to meet TNT713's Panthers for a low scoring hard hitting knock-down drag-out that sees both teams fighting for every inch. Filled with plays we want to take back, one in particular, haunts the loser. Be sure to watch until the end to find the valuable lesson of the game. 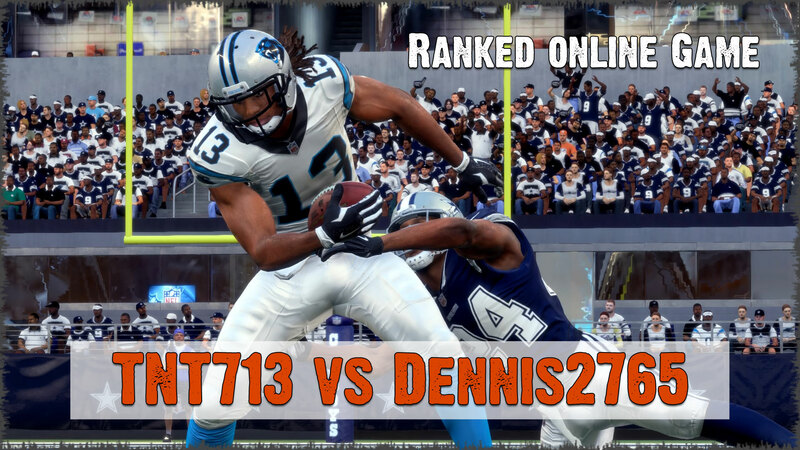 This episode features the TNT713's Panthers fighting against dennis2765's Cowboys in a battle that goes down to the very last play. Tightly contested for the duration, be sure to watch this one for the dramatic and surprising ending. When things go bad, they can go very bad. 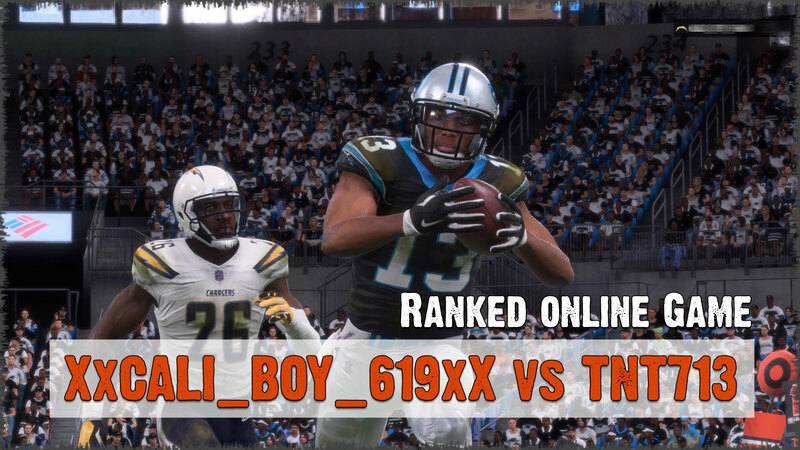 This episode of GameFilm features XxCALI_BOY_619xX's Chargers against TNT713's Panthers in a game for the ages. Hit with a rash of mistakes early that put the Panthers in a deep hole, TNT battles back and takes the game to the wire. Check out this episode for the full game. We step into our second ranked online game of Madden NFL 18 with a little swagger earned after shutting out our opponent in a 31-0 mauling of the Cowboys. 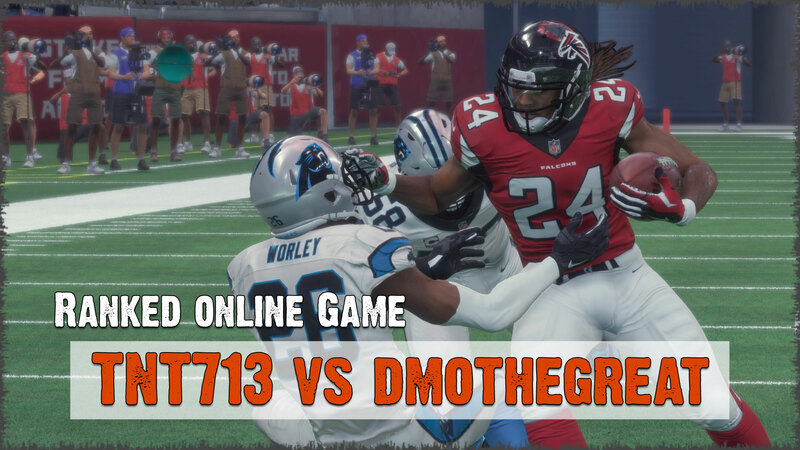 Our Panthers keep pounding in the second game against dmothegreat's Falcon team. Check out this edition of GameFilm. The first ranked online game of Madden is always the toughest, especially after a long layoff at the end of the previous year. 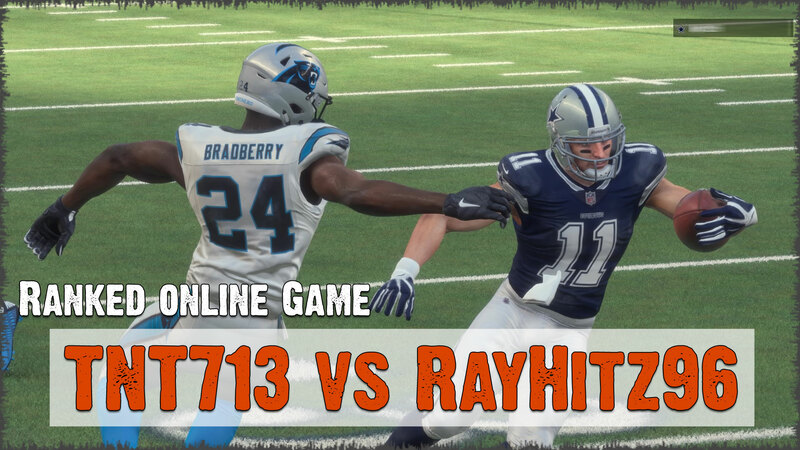 In this first foray into Madden NFL 18, TNT713's Panthers face off against RayHitz96's Cowboys in AT&T Stadium for a battle against another first timer. Check out this video for a look at how this year started out. 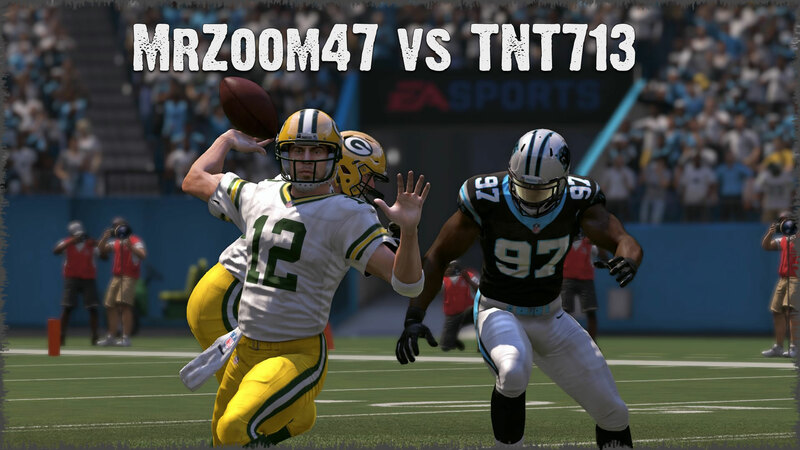 Madden NFL 17 ranked online game featuring MrZoom47's Packers vs TNT713's Panthers where mistakes in execution during key moments keep the game in doubt until the end. Check out the video! 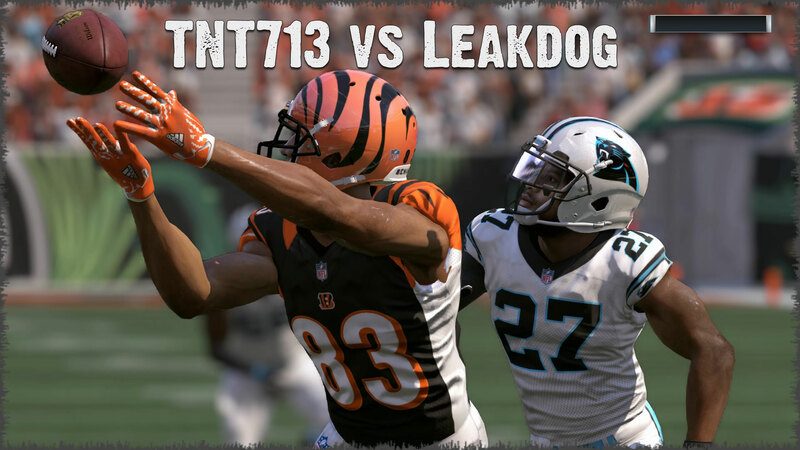 TNT713's Panthers face off against Leakdog's Bengals in this episode of Game Film featuring Madden NFL 17 online ranked games. Our opponent smartly calls timeouts and manages the clock as best he can in this tightly contested game where any single play could be the difference. Check out the video! 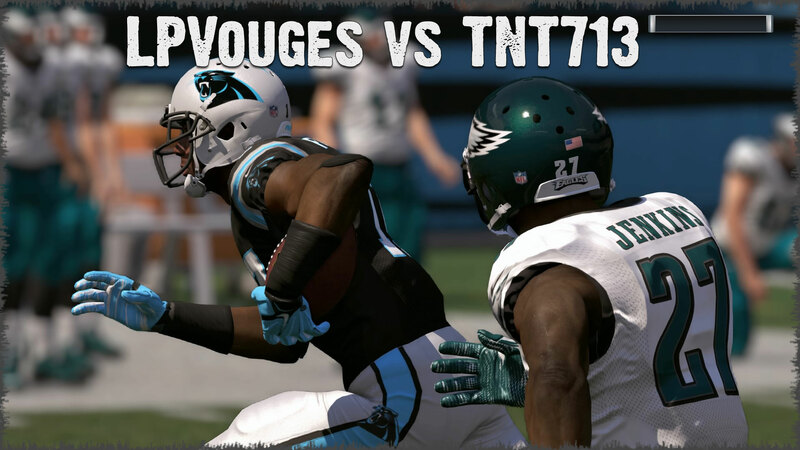 In this Madden NFL 17 online ranked game between LPOUVGES' Eagles and TNT713's Panthers, we see a lopsided score with a ton of forced errors. Unlike most online players, the loser of this game refused to quit despite insurmountable odds and unending frustration. Check out the video!